Out of all the industry-specific courses I’ve released, Oil & Gas Financial Modeling has drawn the most interest. That surprised me at first because there’s no obvious reason why it would be more popular than the others. But once you start learning something about the oil & gas industry, the reason becomes obvious: the strategies you use when modeling oil & gas companies apply to more than just oil & gas companies. The obvious example is mining, where there’s a lot of overlap, but almost anything that depends on commodity prices is similar. The good news is that while bank and insurance modeling is almost a different game entirely, oil & gas modeling is more like a variation on a game you’re already familiar with. How Does the Oil and Gas Industry Work? Oil & gas, mining, and other natural resource companies have a simple business model: find and extract valuable stuff from the ground, turn it into something useful, and then sell it to customers. So, what do you focus on? Finding and extracting valuable stuff? Turning it into something useful? Transporting and selling it to customers? All of those? If you make software or widgets or clothes, you can pretty much set prices yourself… within reason. Some products sell for $10, some for $1000, and there’s always a reason why. But if you sell gold, oil, or gas, you can’t determine the price – “the market” does. Upstream Companies: Also known as Exploration & Production, or E&P, companies, they focus on finding and extracting minerals and resources from the ground. Midstream Companies: They focus on transporting oil, gas, and other commodities to companies that will sell them. This is mostly done via “pipelines” that carry these commodities over great distances. Downstream Companies: They refine and market commodities (hence the “R&M” name for them), turn them into something useful – AKA jet fuel, automobile gasoline, diesel, and so on – and then sell them to customers. Oil Field Services: They don’t find, transport, or sell oil & gas, but instead provide services to companies that do. They might maintain their oil fields, repair broken spots, upgrade the technology, or even provide security for workers. Integrated Majors: Think BP and Exxon Mobil. These companies do everything above, just in different proportions. The most common combination is to focus on upstream and downstream, and then leave the rest to dedicated specialists. How Are Oil & Gas Companies Different, Modeling-Wise? For purposes of this tutorial, we’re going to focus on Upstream, or E&P (Exploration & Production) companies because those are the most “different” from normal companies – and they’re the most common topic in interviews. We will also touch on diversified, or integrated major, companies, such as Exxon Mobil since you can learn a lot about other segments by analyzing them. So how is oil & gas modeling different? You Can’t Control Prices or Revenue – This is the big difference that results in most of the other differences. They are Balance Sheet-Centric – Just like banks or insurance firms, an E&P company is far more dependent on its balance sheet than, say, a technology or consumer retail company. 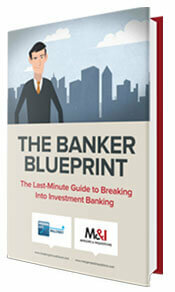 The balance sheet contains its most important asset: the reserves that will generate future revenue and profit. Accounting is Different – You not only see different line items, but you also see two different accounting methodologies: full cost and successful efforts. Depleting Assets Galore – For a normal company, assets tend to move… up and to the right. Items like PP&E, inventory, accounts receivable, and so on increase as the company grows. But as an oil & gas company produces more and more and earns revenue, its assets decline because they use up all those valuable resources they found in the ground. Cyclicality – Going along with the first point, oil & gas companies follow commodity price cycles. Investing in an energy or mining company is almost like investing in the underlying commodity, which means you have to be comfortable with giant price swings. The good news is that unlike banks and insurance firms, oil & gas companies still sell tangible products to people – so your models are more similar. Before you begin projecting an energy company’s financial statements, you need to know something about the units used. Oil is typically measured in Barrels (1 Barrel = 42 Gallons, and yes, even countries that use the metric system still use Barrels); natural gas is measured in Cubic Feet (even with the metric system), and mining companies use whatever makes sense (iron ore/coal/aluminum/copper/lead/zinc/nickel/manganese/uranium = tonnes, diamonds = carats, and gold/silver = ounces). You measure the company’s reserves (how much they have on their balance sheet, ready to extract, produce, and sell) and production (how much they produce and sell each day, month, quarter, year, etc.) in these units. When you project a natural resource company’s statements, you begin by projecting its production by segment based on its reserves and its historical patterns. So let’s say that a company has 12,000 billion cubic feet (12,000 Bcf) of natural gas in its reserves and produces 500 billion cubic feet (500 Bcf) annually. You might assume a modest increase over that number, especially if the company is spending a lot on finding new resources. So maybe you assume that they produce 550 Bcf next year and then 600 Bcf the year after – which you would then cross-check with equity research and their reserves (you don’t want to assume that they produce 100% of their reserves in 1 or 2 years). And then you deduct this production from their reserves… and (hopefully) replace it with sufficient CapEx spending, linking the dollar amount of that spending to a specific amount of reserves. Revenue is trickier because you can’t set prices yourself. But the solution is surprisingly simple: you use scenarios in Excel. So you might create a “low” scenario where oil prices are, say, $40 per barrel, a “middle” scenario where oil prices are $70 per barrel, and a “high” scenario where oil prices are $100 per barrel. Doing that lets you see the range of possible outcomes for a company based on commodity prices. There’s more to it than that because you also need to take into account hedging and the fact that the company will never get the full market price due to middlemen, commissions, and so on – but that’s the basic idea. Expenses are more involved because you have both production-linked expenses – which you estimate on a dollar per barrel of oil or per cubic foot of gas basis – and then non-production-linked expenses, such as stock-based compensation and smaller, miscellaneous items. Generally you look at a company’s filings and figure out what is production-linked and what isn’t, and then assume an increasing dollar value for the production-linked ones over time and make the non-production-linked expenses a percentage of revenue or other items. To see a real-world example of these projections, click here to view a sample lesson from the Oil & Gas Modeling course on Price Hedging and Revenue by Segment. Energy companies’ income statements do not have the usual Cost of Goods Sold / Gross Profit and Operating Expense distinction that you see for normal companies. Revenue: Sometimes it’s categorized by Upstream vs. Midstream vs. Downstream; if the company just does Upstream, it is split into energy categories such as Gas & Natural Liquids, Oil, and Miscellaneous. Expenses: Production (anything associated with extraction from the ground); Taxes, Transportation & Other; Exploration (the cost of finding energy and minerals); Depreciation, Depletion, and Amortization (not only normal D&A but also the reserves being depleted over time); Selling, General & Administrative; Derivative Fair Value Gain / (Loss) (for companies that hedge); the Accretion of Discount in the Asset Retirement Obligation (more on this below). Other Income / (Expenses): You might see items like interest and investment income and expense and also gains and losses on asset sales, partnerships, and royalty trusts here. The presentation is very similar to what you see for normal companies: Revenue Minus Expenses = Operating Income, Operating Income Plus Other Income / (Expenses) = Pre-Tax Income, and Pre-Tax Income * (1 – Tax Rate) = Net Income. One final point: oil & gas companies tend to have very high deferred income taxes. Sometimes 75% or more of a company’s income statement taxes are deferred, meaning that they’re not paid in cash in the current period. You see such high percentages because of the sky-high depreciation, depletion & amortization (DD&A) numbers for oil & gas companies and because many companies record them differently for book and tax purposes. This doesn’t really affect the income statement, but you do need to add back deferred taxes on the cash flow statement. Let’s start with the easy part: Shareholders’ Equity is pretty much the same for oil & gas companies. Assets and Liabilities are still split into Current Assets, Long-Term Assets, Current Liabilities, and Long-Term Liabilities, but there are a few new items. Sometimes, E&P companies also create a category for PP&E (Plants, Property & Equipment) on their balance sheet and list their reserves by category there (Proved, Unproved, and Other – basically, the probability of those reserves actually turning into something real). Current Assets: Cash & Cash-Equivalents, Accounts Receivable, Inventories, Derivative Fair Value (for companies that hedge), Income Tax Receivables / Deferred Tax Benefits, and Other. Long-Term Assets: Investments, PP&E (Proved, Unproved, Other, and Accumulated DD&A), Goodwill & Other Intangibles, and Other Assets. Current Liabilities: Accounts Payable, Current Portion of Debt, Derivative Fair Value (for hedging), Deferred Income Taxes, and Other. Long-Term Liabilities: Long-Term Debt, Pension Benefits, Deferred Income Taxes, the Asset Retirement Obligation, and Other. Derivative Fair Value: This can actually show up everywhere – current assets, long-term assets, current liabilities, and long-term liabilities. Energy companies use hedging to protect themselves from falling commodity prices, and these “derivatives” consist of contracts that say, for example, “Even if oil prices fall to $50 per barrel, I can still buy oil from you at $60 per barrel.” Derivatives on the assets side represent long positions and on the liabilities side they represent short positions. PP&E: Normal companies have this as well, but oil & gas companies often break it into categories such as Proved Reserves, Probable Reserves, and Possible Reserves; Proved Reserves have a 90%+ chance of being recovered, Probable is between 50% and 90%, and Possible is less than 50%. Accumulated Depreciation, Depletion & Amortization is also huge and is a contra-asset that’s counted against Gross PP&E to arrive at Net PP&E here. Asset Retirement Obligation: Just as it costs money to open up new oil wells and gas fields, it also costs money to shut them down. This liability represents that future cost, and you add to it over time by adding in the future cost of shutting down each new well or field you develop (reflected in the accretion of the asset retirement obligation discount on the income statement). Similar to other industry-specific cash flow statements, oil & gas cash flow statements are very similar to what you see for normal companies: start with net income, add back non-cash charges, take into account working capital changes, and then go through the normal investing and financing sections. Depreciation, Depletion & Amortization: Massive for O&G companies and sometimes even bigger than their net income. Other Non-Cash Expenses: Besides the usual ones, you’ve also got the accretion of discount in the asset retirement obligation, gains and losses on asset, partnership, and royalty sales, and possibly something called the dry hole expense (see the upcoming section on Successful Efforts vs. Full Cost). Investing Activities: CapEx is massive for natural resource companies, once again often exceeding their net income. Asset sales are also very common. These companies spend a huge amount exploring and buying assets, and also receive a good chunk of change for selling assets like individual oil fields and gas wells. Financing Activities: Since oil & gas companies are constantly buying assets and spending a small fortune to find more assets and since they deal with volatile commodity prices, they have huge financing needs. So you see massive amounts of debt being raised and paid off, along with equity financing in some cases. You start by projecting annual production on a per-commodity basis, and then assume low, mid, and high price cases for each commodity to build multiple scenarios in Excel. Based on these numbers, you calculate revenue. You project expenses either on a production-linked basis (e.g. Production, Taxes, Transportation, DD&A) or a non-production-linked basis (Stock-Based Comp., Derivative Gains / (Losses), etc.). On the cash flow statement, you start with net income, add back non-cash charges (mostly flowing in from the income statement), and make sure working capital links in properly from the balance sheet once you’ve projected the BS in the next step. You also link CapEx to production and translate the dollar amounts back to natural resource units (Barrels, Cubic Feet, Tonnes, Ounces, etc.) to keep a running tally of how the company’s Reserves change over time – subtract Production, add new discoveries and acquisitions, and subtract sales of reserves. Debt and equity financing activities would be determined by a debt schedule you create; you could set these to $0 to simplify the model, but almost all energy companies need to raise capital consistently so you should at least make a simple estimate. Most of the balance sheet items flow in from the cash flow statement or can be linked to income statement items (e.g. accounts receivable to revenue); you will hold many of the items constant (Goodwill) or set them to $0 to simplify in some cases. To get a sense of what the financial statements look like for a real company, click here to check out XTO Energy’s statements from just before they were acquired by Exxon Mobil. A diversified oil & gas company has slightly different statements and you see more items related to its midstream and/or downstream capabilities; for a good example, click here to view Exxon Mobil’s financial statements. Remember how I said above that oil & gas companies use “different” accounting? Revenue recognition is straightforward, but the expenses get tricky. You always capitalize acquisitions and development (actually constructing the field or well), and you always expense production. But exploration costs are more subtle: it seems obvious that you’d capitalize successful explorations, i.e. if you go out into the fields and actually find oil, but what about unsuccessful explorations? Under the successful efforts methodology, you expense them, and under the full cost methodology you capitalize them and add that CapEx to the PP&E on your balance sheet. That seems straightforward, but it gets confusing on the other financial statements because some companies apply these standards inconsistently and use a “mix” of both. That “dry hole expense” I mentioned above is another name for unsuccessful exploration, and some companies actually add it back on their cash flow statements (long story, but essentially they are using a mix of both standards). But there is some good news: if you’re outside the US and therefore use IFRS, all companies must use the “successful efforts” standard. Large companies tend to use successful efforts because they can afford the hit to their net income, while smaller companies tend to use the full cost method to boost their earnings. One downside of the full cost method is that you need to test the PP&E balance every so often and apply write-downs if the book value gets out of line with the market value – so write-down and impairment charges are common on full cost companies’ income statements. The good news is that most of the same valuation methodologies you’re used to seeing – public comps, precedent transactions, and even the DCF – still apply to (most) oil, gas & mining companies. No P/E or Revenue Multiples: P/E is not terribly useful because many energy companies have odd tax situations, huge depreciation numbers, and lots of impairment charges and write-downs; revenue multiples are useless because oil & gas companies have limited control over their revenue due to their dependence on commodity prices. EBITDAX, not EBITDA: The “X” stands for Exploration Expense, and we add back it to EBITDA when working with E&P companies because of the issue with successful efforts vs. full cost accounting above: we’re normalizing the metric. Sometimes you do see EBITDA as well, especially for more diversified companies, non-E&P ones, and even for the occasional E&P set if the companies all use one accounting standard. Production and Reserves Multiples: Since oil & gas companies are so dependent on natural resources, why not make the resources into multiples? And that’s exactly what you do with their Proved Reserves and Daily or Annual Production numbers. You use Enterprise Value in the numerator for both of these, and the values might be anywhere from $1.00 to $50.00 depending on the companies, region, economy, and so on. Different Screening Metrics: Rather than using revenue or EBITDA, you might pick companies and transactions based on Proved Reserves or Production volume; other important metrics include the R / P Ratio (Proved Reserves / Annual Production), the % Proved Reserves in their Total Reserves, and the % Oil Mix. So there are some differences, but the mechanics of selecting and calculating the metrics and multiples for comps remain the same. Capital Expenditures tend to be massive, which depresses Free Cash Flow and makes almost all of the company’s value depend on the Terminal Value. Perpetual Growth is a big leap for oil & gas companies. There’s a limited amount of oil and gas on planet Earth, so can you really assume that the company will grow at 3%, 2%, or even 1% into perpetuity? You do still see DCFs sometimes, but they are more common for midstream, downstream, and oilfield services companies. For E&P companies, there’s an alternate intrinsic valuation methodology called the Net Asset Value (NAV) model that often gives more accurate results. The NAV model flips the traditional DCF on its head because you no longer assume perpetual growth. Instead, you assume that the company adds nothing to its reserves and that it produces 100% of its reserves until it runs out of natural resources completely. 1. Set Up Columns to Track Each Commodity, Revenue, Expenses, and Cash Flows. You want to track the beginning and ending reserves each year, the annual production volume, and the average price for each commodity; typically you use the same low/mid/high price cases that you used in the company’s operating model. 2. Assume Production Decline Rates and Calculate Revenue Until the Reserves Run Out. Depending on the company’s previous history, you might assume a decline rate of 5-10% per year – potentially more or less depending on how mature it is. In each year, you assume that you produce either the production volume of that year or the remaining reserves – whichever number is lower. Then, you’d multiply the production volume times the average price each year for all commodities to get the revenue by year. You focus on Production and Development expenses here, both of which may be linked to the company’s production in the first place. You don’t assume anything for Exploration since you’re pretending that the company finds nothing and dwindles to $0 in the future, and you leave out items like corporate overhead and SG&A because we’re valuing the company on an asset-level. Simply subtract the expenses from the revenue each year and then multiply by (1 – Tax Rate) to calculate the after-tax cash flows. Then, you add up and discount everything based on the standard 10% discount rate used in the Oil & Gas industry (no WACC or Cost of Equity here). For example, if the company has undeveloped land or if it has midstream or downstream operations, you might estimate the value of those based on an EBITDA multiple (or $ per acre for land) and add them in. You add all those up to arrive at Enterprise Value, then back into Equity Value the normal way, and calculate the company’s Implied Share Price by dividing by the diluted shares outstanding. So that’s a Net Asset Value model in a nutshell. It is widely used in oil, gas, mining, and other commodity-based sectors, and it often produces more accurate results than the standard DCF analysis. To get a real world example of this NAV model, click here to view a sample video on how to set up the revenue side in a NAV analysis for XTO Energy. I hinted at this in the last part of the NAV explanation above, but sum of the parts is a very common valuation methodology in the energy industry. For cases where the company is highly diversified – think Exxon Mobil – you need to value its upstream, midstream, downstream, and other segments separately and add up the values at the end. So you might, for example, use traditional multiples like EBITDA for the midstream and downstream segments, and then use Proved Reserves or Production multiples for the upstream segment and add them together to arrive at the final value. Or you might use NAV for upstream and a DCF for other segments and add those up. There’s surprisingly little to say about merger models and LBO models in the oil & gas industry. A merger model is a merger model is a merger model no matter how the company earns revenue, so nothing changes the fact that you need to combine all 3 statements, allocate the purchase price, and factor in synergies, acquisition effects, and so on. Purchase Method: Stock tends to be very common because oil & gas companies are often highly leveraged (little capacity to raise additional debt) and also don’t have much cash available. Commodity Prices: Both the buyer and seller should be using the same price cases – you don’t want an acquisition to look good just because you’re assuming $50 per barrel for the buyer and $60 per barrel for the seller. Synergies: You generally assume no revenue synergies because they just don’t make sense – remember that commodities companies cannot control their “product” prices. You might assume expense synergies based on reducing production costs on a per Barrel / Cubic Foot / Tonne / Ounce basis. Accounting: If you have a full cost company buying a successful efforts one or vice versa, you need to normalize both companies’ statements and use the same standard. Sensitivities: In addition to the usual criteria (purchase method and synergies), you also need to include commodity prices in your sensitivity tables because they will impact whether or not the deal is viable. You could also base a contribution analysis or accretion / dilution calculation on non-financial metrics, such as Production Per Share or Proved Reserves Per Share. But those make more sense for 100% stock-based deals (you wouldn’t see the impact of foregone interest on cash or interest expense on new debt for these non-financial metrics). LBO models are even more similar to what you see for normal companies, and just like with merger models you need to include a sensitivity analysis on commodity prices somewhere in your model. The most important point about Oil & Gas LBO models, ironically, is that oil & gas leveraged buyouts rarely happen. Extremely Unstable and Unpredictable Cash Flows: If oil, gas, or gold prices swing one or the other, your returns may be hosed. High CapEx: This makes it much harder to repay additional debt. Already Highly Leveraged: This makes it difficult for the private equity firm to use a lot of new debt to acquire the company. Yes, some PE firms do focus on energy and mining, but typically they stick to utility and/or power generation companies rather than unpredictable E&P companies. 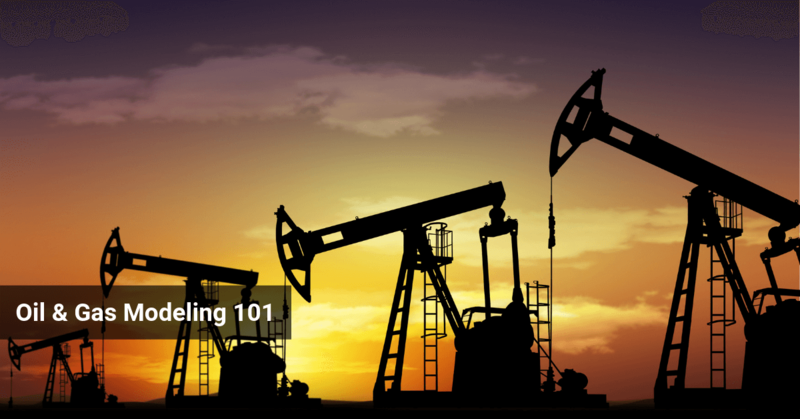 Ready For Oil & Gas Financial Modeling Mastery? Going into this, I actually thought the Oil & Gas tutorial would be the easiest and shortest one to write (whoops!). There are a lot of differences with oil, gas, and mining companies but the overarching ones are that they cannot control prices and that they have depleting assets that constantly need to be replaced. Remember that, the accounting tips above, and the NAV model, and you’ll be more than ready to dominate your interviews. And if you need professional-level skills that will qualify you to work in the industry, you should consider investing in our advanced Oil & Gas Modeling course.